Dierks Bentley was born in Phoenix, Arizona where he spent most of his childhood. Growing up in a non-musical family, he got his country music education by listening to records in his free time. Bentley moved to Nashville at the age of 19, landing a job at The Nashville Network (now Spike TV) doing research on old footage of country music performances during the day. Bentley used his nights to work on music between playing local parties and bars before being signed to Capitol Nashville. In 2003 Dierks Bentley released his self-titled debut album via Capitol Nashville featuring the lead hit single, "What Was I Thinkin'." The single reached number one on the Billboard Hot Country Songs chart. Two years later, Bentley released his second album Modern Day Drifter on May 10, 2005. The album spawned two number one singles, "Come a Little Closer" and "Settle for a Slowdown." Bentley released his third studio album Long Trip Alone in 2006 that spawned the two No. 1 hits "Every Mile a Memory" and "Free and Easy (Down the Road I Go)." Following the success of his first three studio albums, Bentley released his first greatest hits album, Greatest Hits/Every Mile a Memory 2003-2008 in 2008. Feel That Fire, Bentley's fourth studio album was released in 2009 with the title-track becoming his sixth No. 1 hit single. Bentley's sixth studio album Up on the Ridge was released on June 8, 2010 and featured the singles "Up on the Ridge" and "Draw Me a Map." Bentley returned to the top of the charts in 2012 with his seventh studio album Home released on February 7, 2012. Home was led by the hit single "Am I the Only One," which reached No. 1 on the Billboard Country Singles chart. Keeping busy, Bentley dropped the Country & Cold Cans EP via iTunes on August 21, 2012 before taking off on a co-headlining tour with fellow country superstar Miranda Lambert on January 7, 2013. Bentley dropped his seventh studio album Riser on Febuary 25, 2014 which featured the massive hits "I Hold On," "Drunk On A Plane" and "Say You Do." In 2016 Bentley delivered his eighth studio album Black, charting at No. 2 on the Billboard 200 albums chart, giving Bentley his highest charting album on the Billboard 200. In 2018 Bentley announced his ninth studio album The Mountain with a release date marked for June 8, 2018. 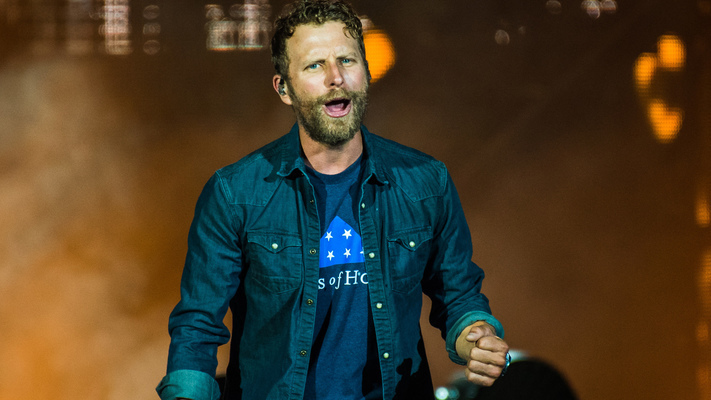 Dierks Bentley also announced his very own music festival, Seven Peaks Music Festival.